Kubrat Pulev-Dominic Breazeale: Who wins? Both highly ranked by the IBF, heavyweight contenders Kubrat Pulev and Dominic Breazeale have been ordered by the governing body to fight in a final elimination bout – so reports ESPN.com. The two sides have been unable to come to a deal, so the fight will go to purse bid on April 10 (yes, the same date the big Nevada State Athletic Commission’s hearing regarding one Canelo Alvarez will take place). 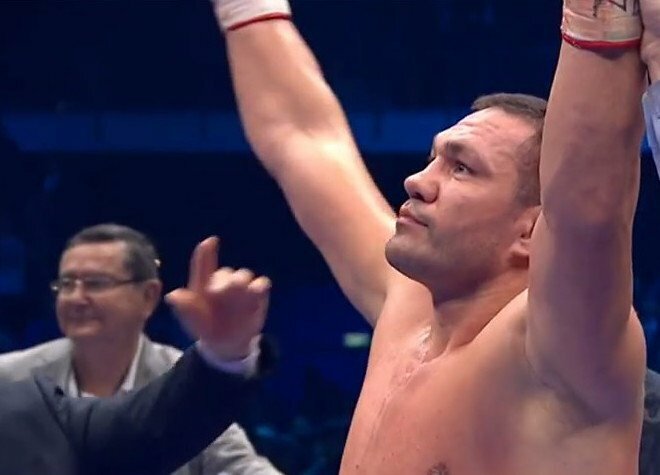 Pulev, 25-1(13) and currently ranked NO.2 by the IBF, has won five in a row since suffering his sole defeat at the hands of Wladimir Klitschko. Breazeale, 19-1(17) and ranked NO.6 by the IBF, has won two fights since his sole defeat at the hands of Anthony Joshua. Both men are hungry for a second crack at a world title, and if AJ comes through okay this Saturday night in his WBA/IBF/WBO title showdown with Joseph Parker, the winner of Breazeale and Pulev will be focusing on a shot at Joshua; a second shot at the unbeaten British star in the case of Breazeale. Pulev, as fans may recall, was to have fought AJ last year, with injury forcing his withdrawal and Carlos Takam stepping in at late notice. The tough Bulgarian is both solid and experienced, but he is no spring chicken at age 36. Pulev has also been far from active, last boxing back in April of last year; his sole fight of 2017 being a points win over Kevin Johnson. Breazeale, at age 32, is fresher and he has been a little more active than Pulev; with two fights boxed last year, both wins. “Trouble,” as the 6’7” contender is known, defeated Izuagbe Ugonoh in a thriller, and he then stopped fellow AJ stoppage victim Eric Molina. Breazeale really wants a shot at WBC heavyweight champ Deontay Wilder (the two getting into a nasty altercation in the hotel lobby shortly after Wilder’s February 2017 win over Gerald Washington; Breazeale’s win over Ugonoh taking place on the card) but if he can get past Pulev he might, crazily enough, find himself looking at a second fight with Joshua – potentially at least. As it stands, Breazeale-Pulev is an interesting match-up and it should result in a pretty exciting fight. You are here: Home / Boxing News / Kubrat Pulev-Dominic Breazeale: Who wins?